Make preparation for manicure a fragrant, softening affair. 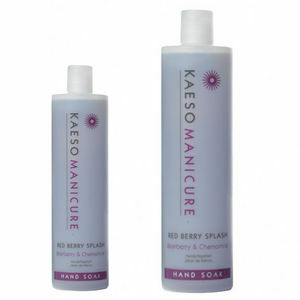 Kaeso Red Berry Splash Hand Soak benefits from Bearberry and Chamomile extracts to moisturise and soothe. 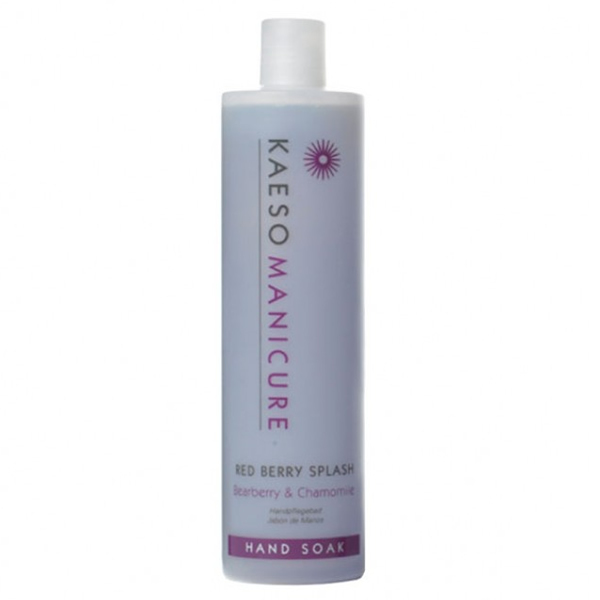 Bearberry, a natural astingent, and the anti-inflammatory Chamomile combine to perfect effect here. If you're looking to give your clients a soothing preparatory treatment with a heavenly aroma, look no further! 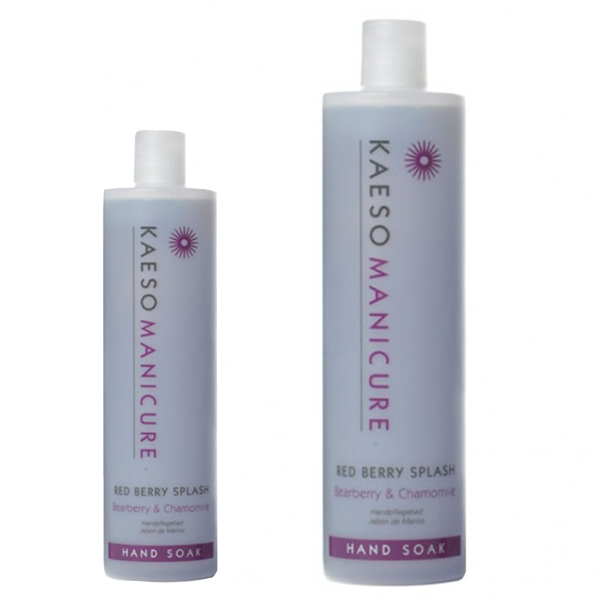 Leave hands feeling soft and supple, cleansed and relaxed. £4.08 (inc. VAT) Why no VAT? We're a trade wholesaler and quote our prices without VAT to help our VAT-registered customers understand the true cost of a purchase.